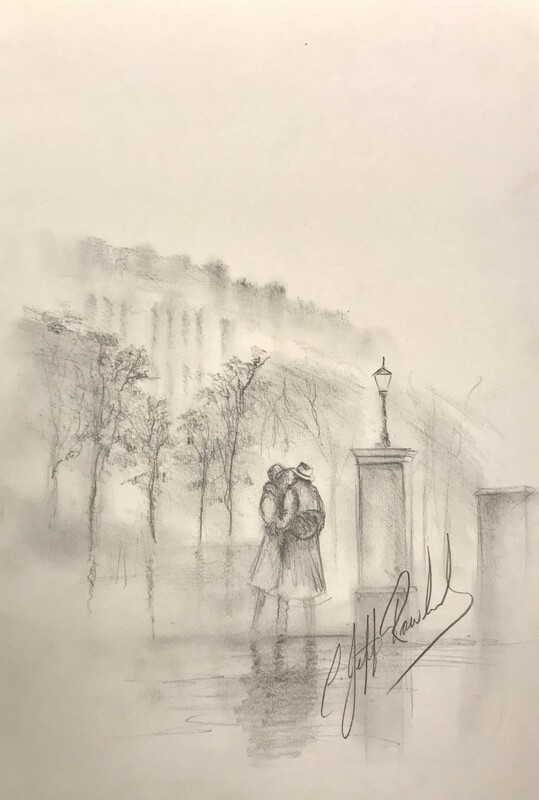 From This Moment, signed original study by artist Jeff Rowland. A moving study by the popular contemporary artist Jeff Rowland. Two central figures embrace in a surrounding city location, a central motif of his highly-regarded landscape work. Image Size 16" x 11.5"